So I’m a huge fan of going for a good old brunch…. but this most recent brunch was definitely one with a difference. 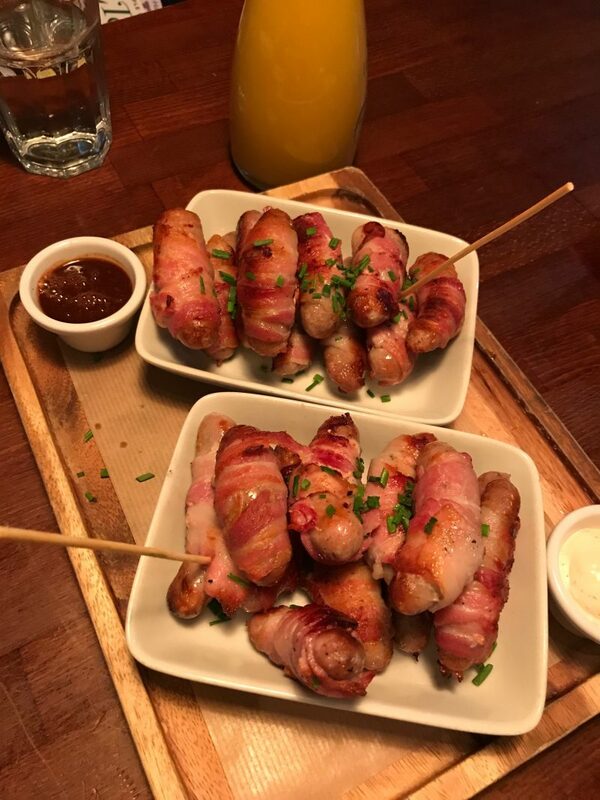 Introducing the festive brunch from Blackdog Ballroom in Manchester, complete with bottomless pigs in blankets. 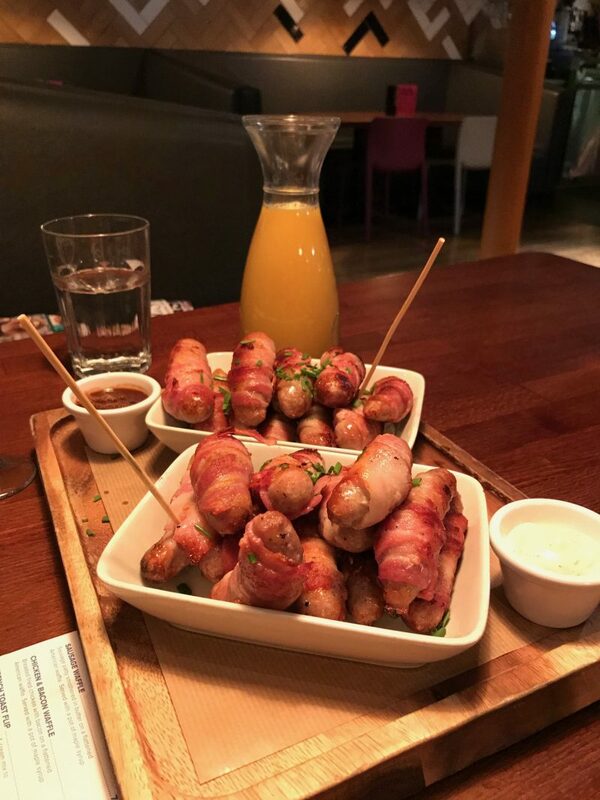 Yep, you heard that right, bottomless pigs in blankets! 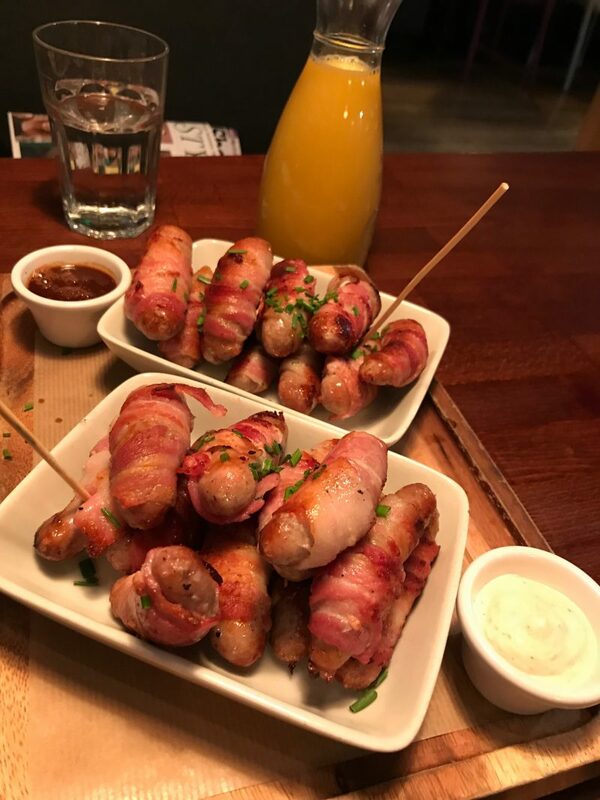 You still get all the enjoyment of a traditional brunch, with your drinks and your main brunch plate, but then the extra treat comes along in the form of bottomless pigs in blankets and everything suddenly becomes SO festive! 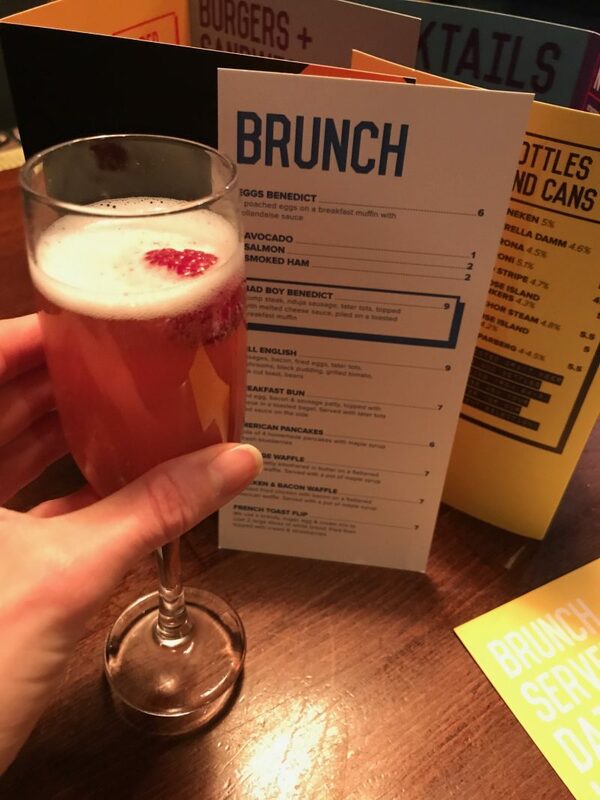 You get the choice of the usual brunch style drinks, whether it be Prosecco or Mimosas, but also the additional festive tipple to choose from too. 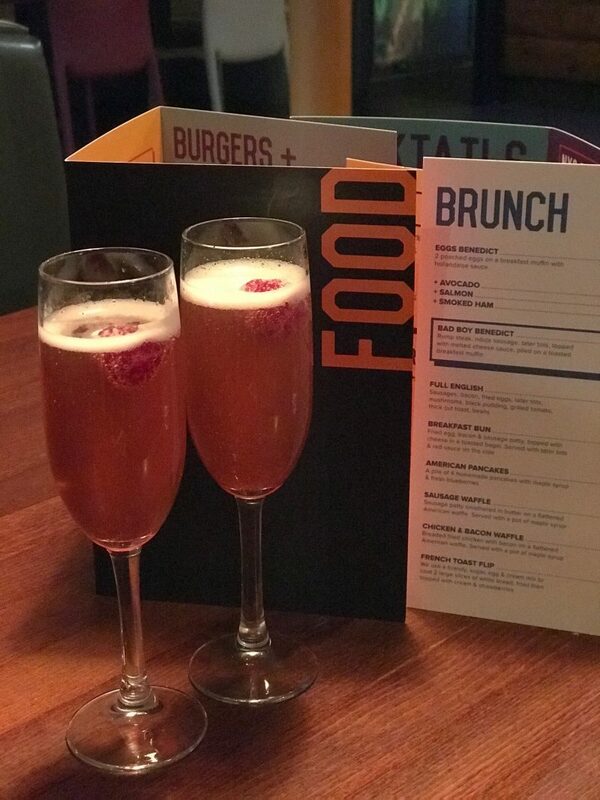 We enjoyed sipping on raspberry bellinis, which were topped up for us. We then decided to switch it up a bit and go for Prosecco with a jug of orange juice on the side to make Bucks Fizz. So I was literally in drinks heaven. 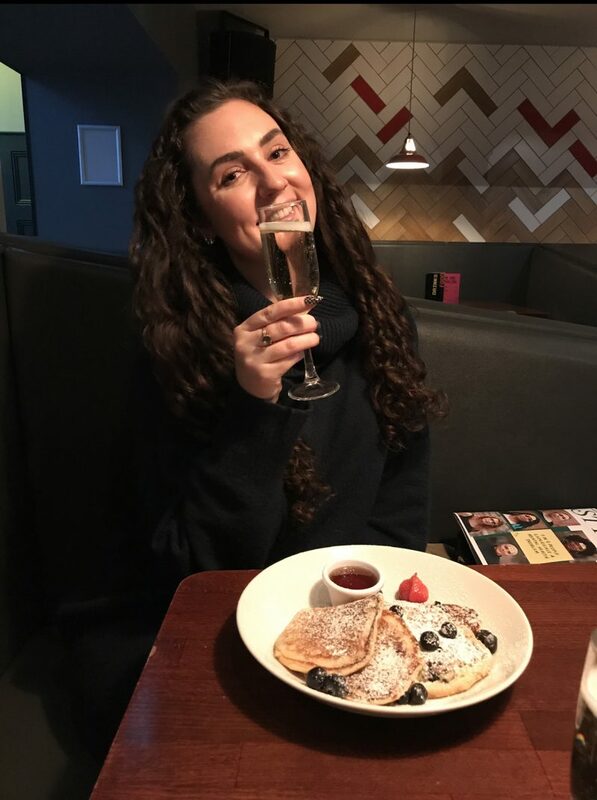 I wasn’t aware of Blackdog Ballroom and their brunch offering before – Blackdog is usually a place I go to for nights out, or for dinner and drinks in the form of pizzas or burgers with friends during the week. But I wasn’t clued up about their brunch offerings before now, which was a great shame because you know what – they have some pretty awesome brunch dishes! Of course, they have the usual offerings: Full English Breakfast, Eggs Benedict (with avocado, salmon or ham) and Breakfast Buns with your bacon, eggs and sausages piled up high. But they also have some more unique dishes which really work that line between breakfast and lunch. 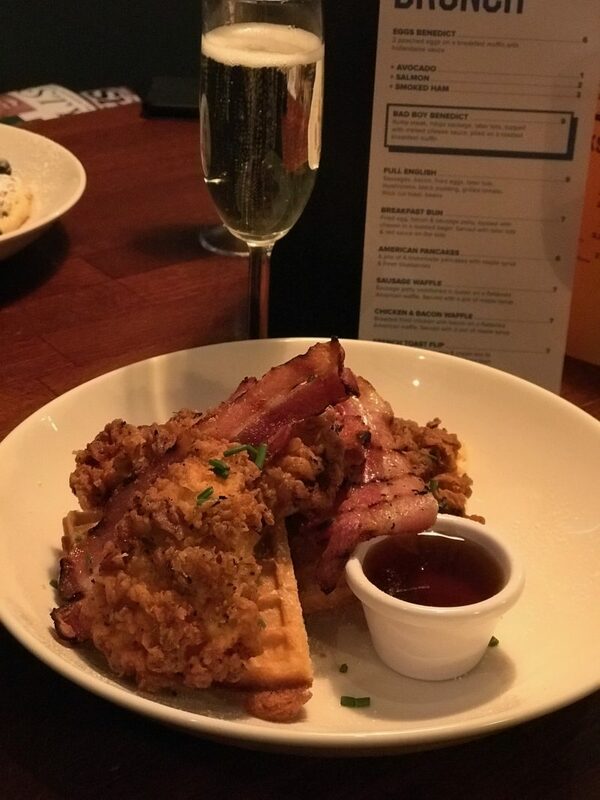 You’ll find American Pancake Stacks with fresh blueberries, Sausage Waffles (sausage patties on flattened American waffles and syrup), Deep fried chicken and bacon waffles, French Toast Flip, and all sorts of naughty fried type dishes. OK so the photos here don’t do it justice. These plates were HUGE – and if you happened to watch my insta stories when I was there, you’d have seen how big they looked. And they were very tasty too! My photos aren’t the best because it is just so dark and dimly lit at the Blackdog Ballroom in the Northern Quarter, so I apologise for the dark tint to them. 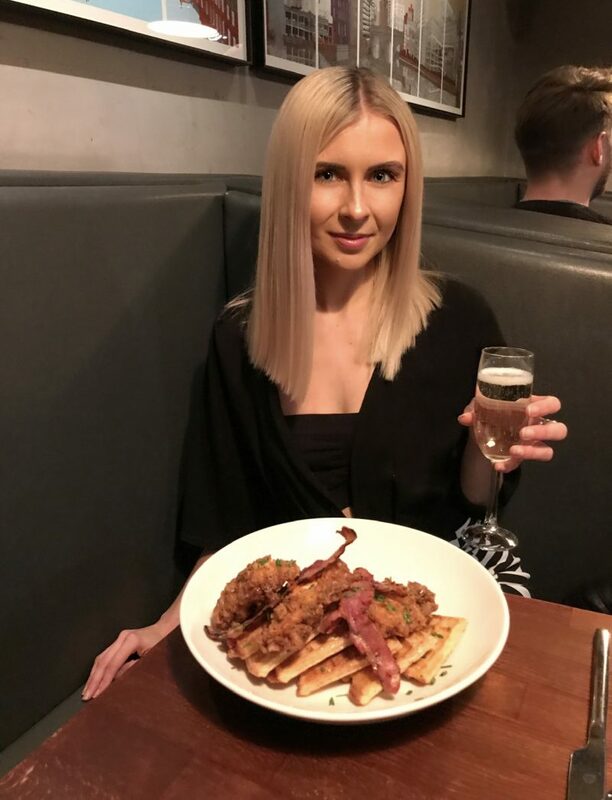 However, I hope you can tell from my excited words that I genuinely was impressed by this brunch offering, and their unique twist on bottomless brunch with the addition of the pigs in blankets and berry bellinis! Prices are reasonable, you’re looking at around £7 for your brunch dish, with the bottomless brunch coming in at £25. Cheaper than some I’ve experienced in Manchester! Previous Post This Skincare Brand Takes No B.S! It’s everything I didn’t know I wanted in life!